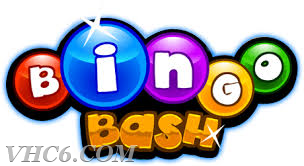 The VHC will host our Spring Bingo Bash on Saturday, April 21, 2018 at our Activities Building at 17701 Creamery Rd. Doors open at 4:00PM and Games begin at 7:00PM. 22 Games Pay $250 and 3 Jackpots pay at $1,000 each! For Tickets Contact: Mary Lou @ 240-285-3184 Pam @ 240-472-3484 or you can stop by the Activities Building during Wednesday Afternoon or Friday Evening BINGO. Guaranteed reserved seating for tickets purchased by April 6. Buy your ticket by April 6th to be entered for an early bird drawing for $100 cash. NO CHECKS after April 6th. Ticket prices are $50 on April 21st.